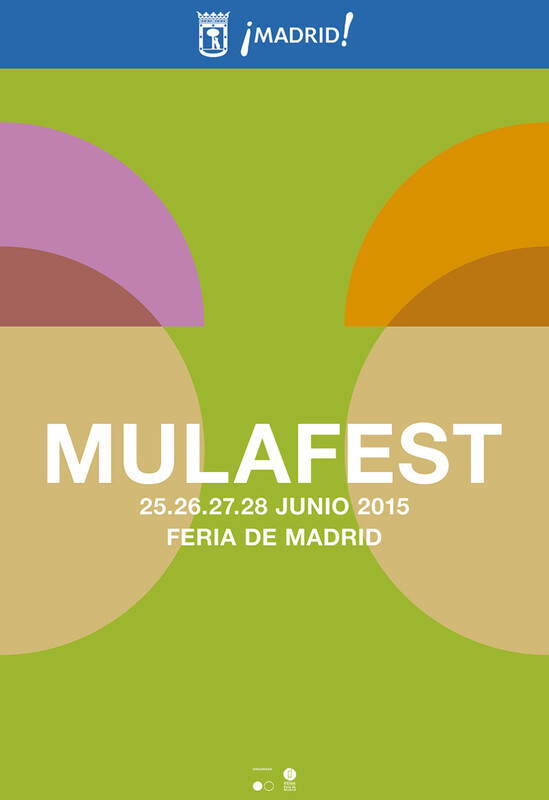 In 2015 Madrid celebrated its fourth urban trends festival. 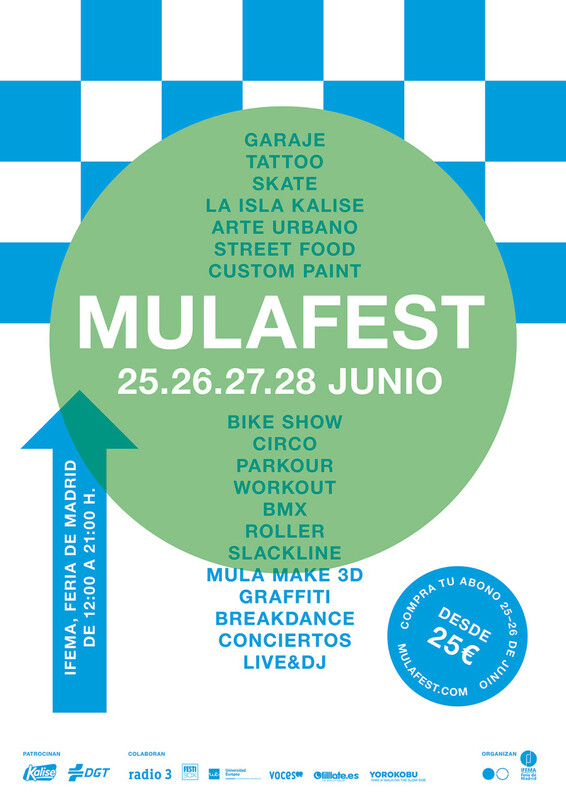 The speed at which the event has evolved hadn’t prompted deep reflection on the brand by the Mula community, whose appearance on the scene was grounded in the same spontaneity.  Since then, new creative expressions and groups have emerged, whose degrees of representativity in the Mulafest programme have grown exponentially.  Nevertheless, the first graphic identity had remained unchanged and didn’t quite reflect the new times. 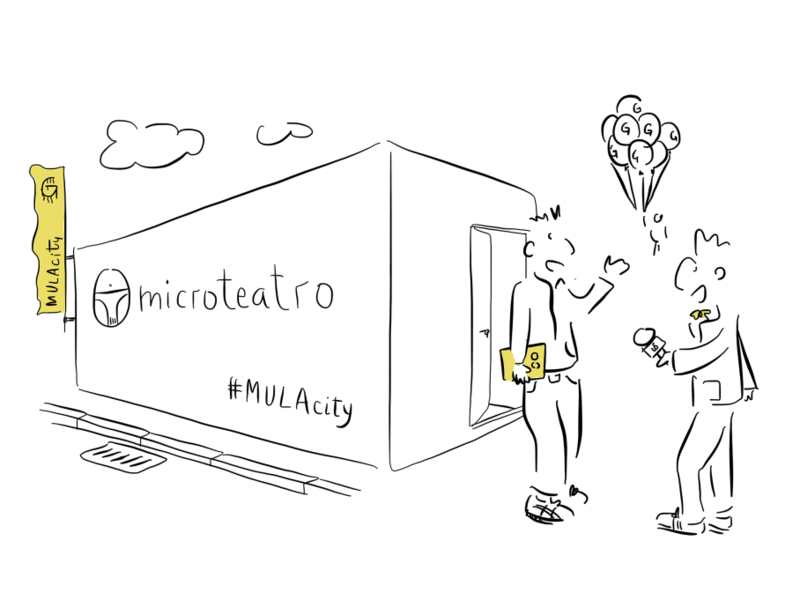 From the very beginning, along with our regular team of collaborators we felt that we should abandon invariability and endorse continuous alteration. 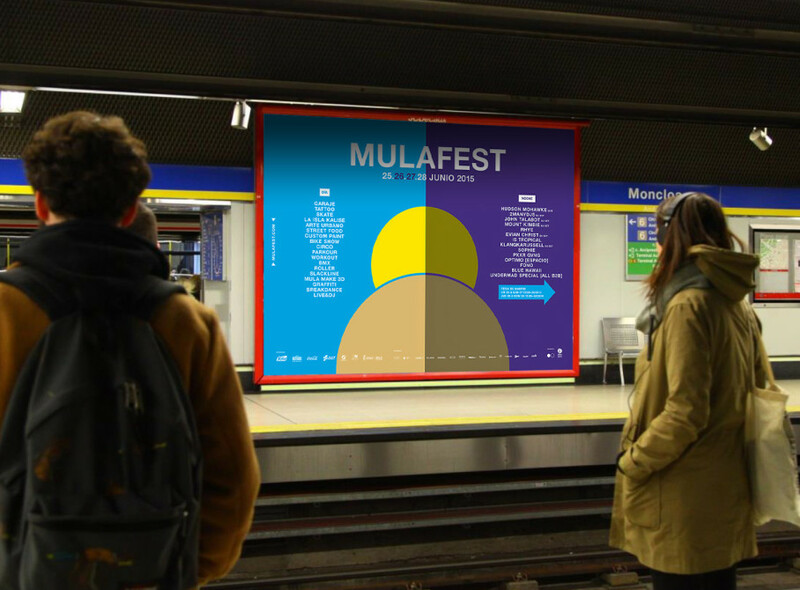 This is how we created an entirely ‘non-symbolic,’ inclusive world that could be modified by its own players and evolve in tune with the beat of the street. 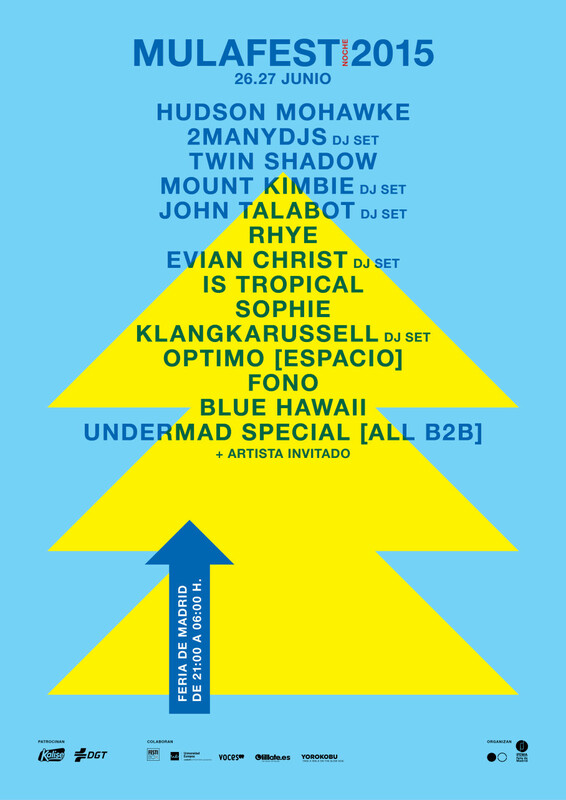 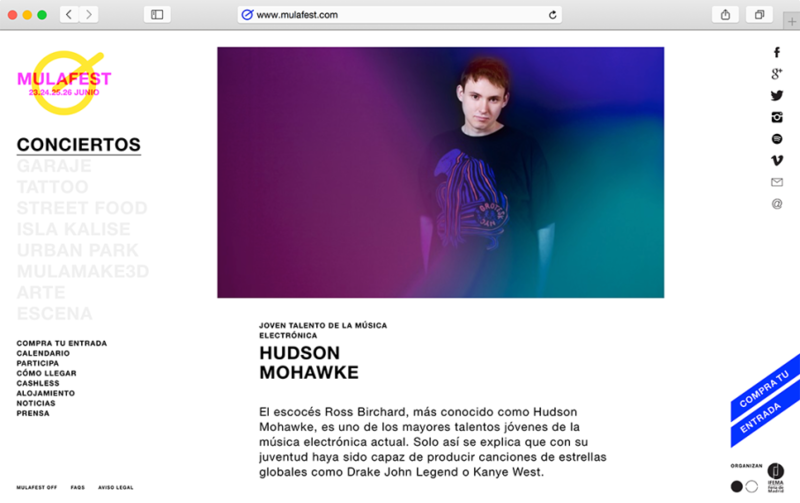 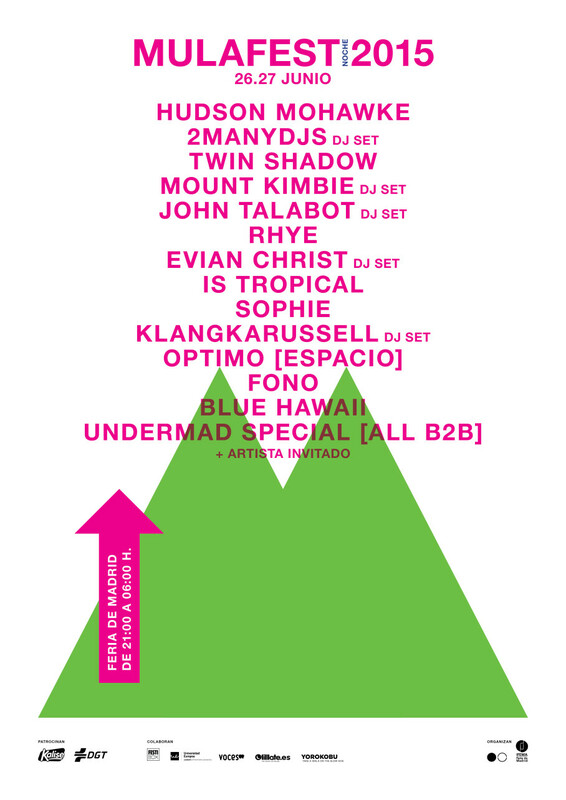 Hudson Mohawke and 2ManyDjs are the first to confirm their attendance at the music event on occasion of the urban trends festival. 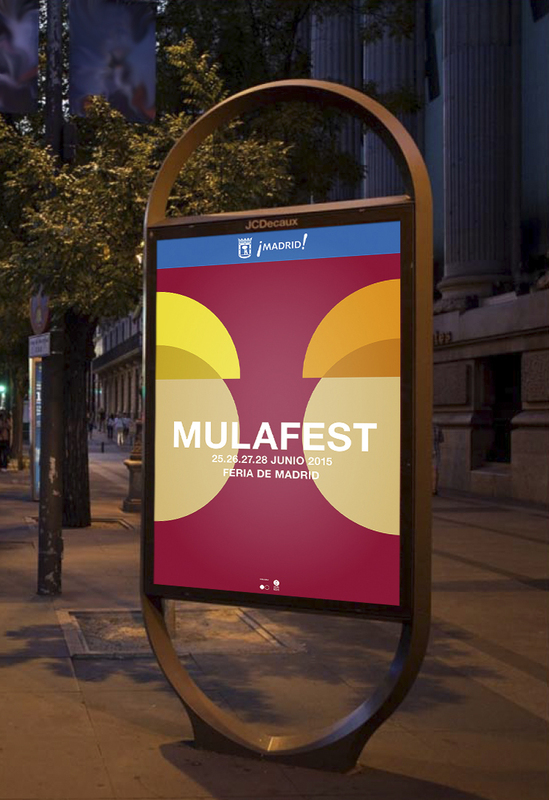 The Ifema Plus and Mulafest projects are among those nominated for the first InturTech Awards. 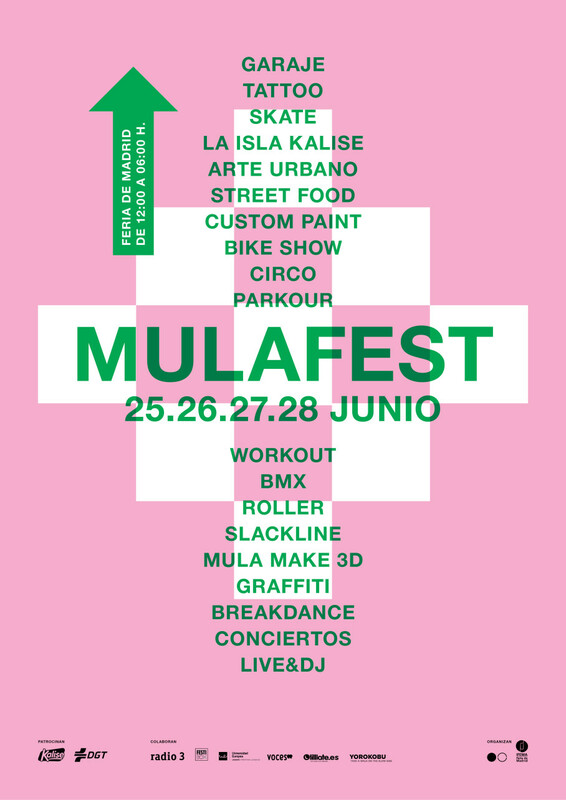 The profound changes that Madrid’s fourth urban trends festival brought weren’t only reflected in the programme’s desire to meet the needs of the groups taking part in the event and its new audiences. 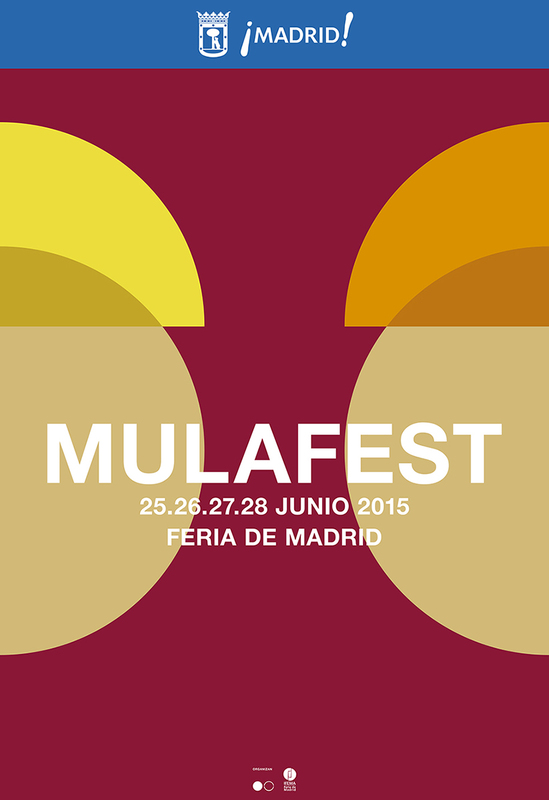 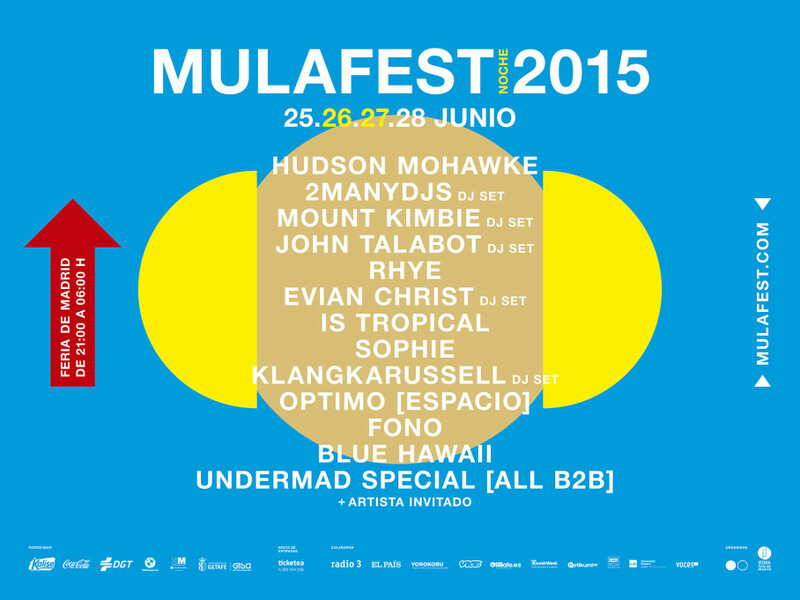 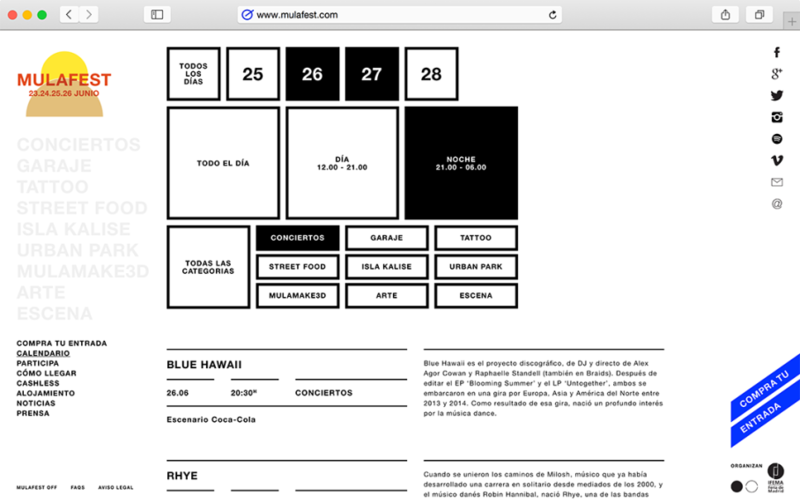 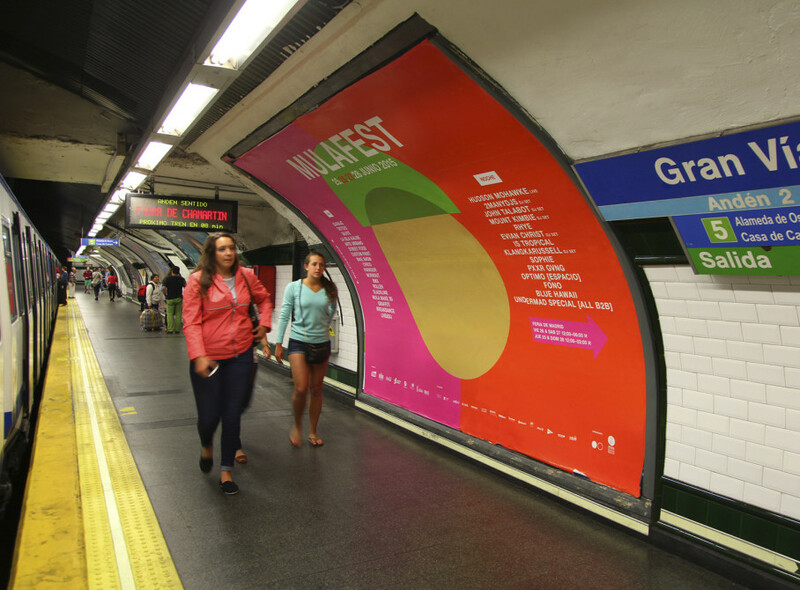 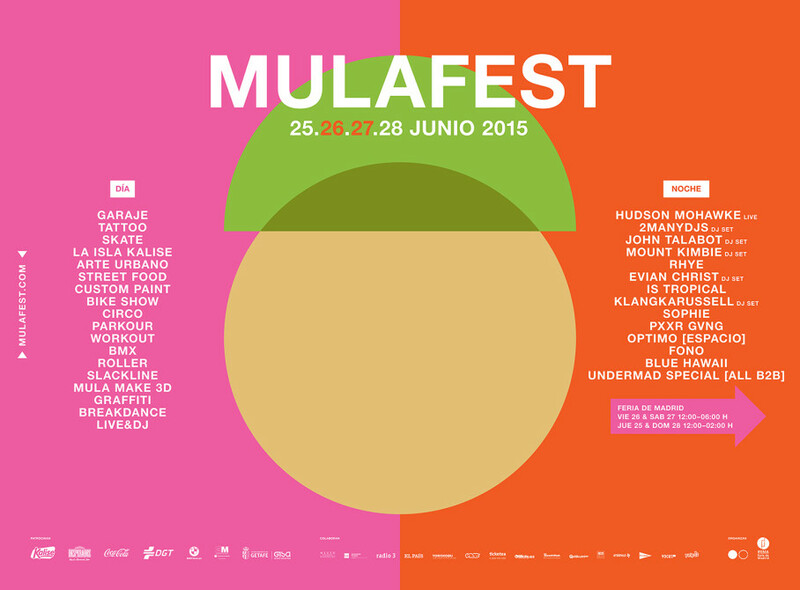 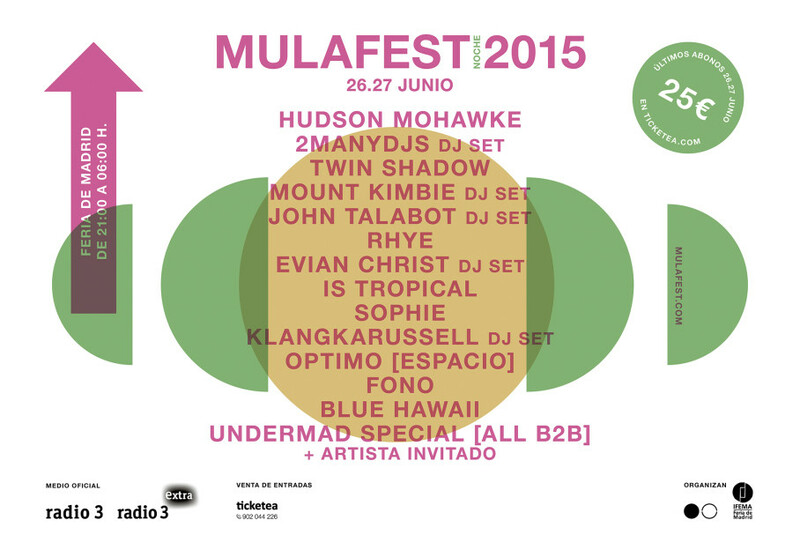 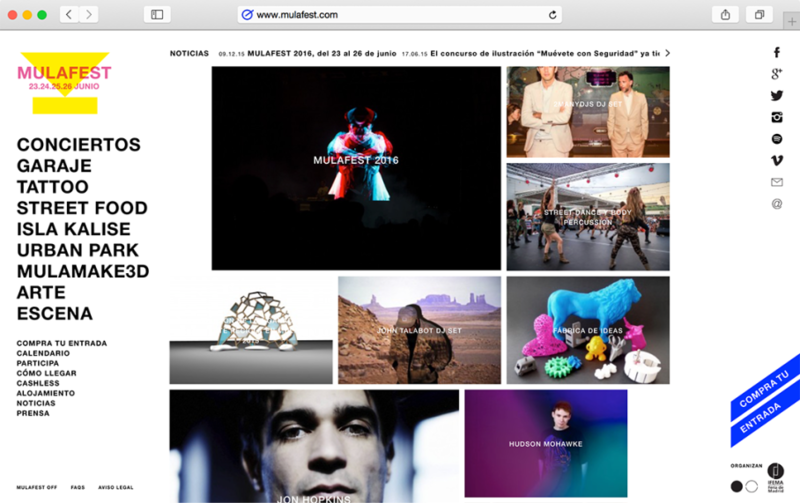 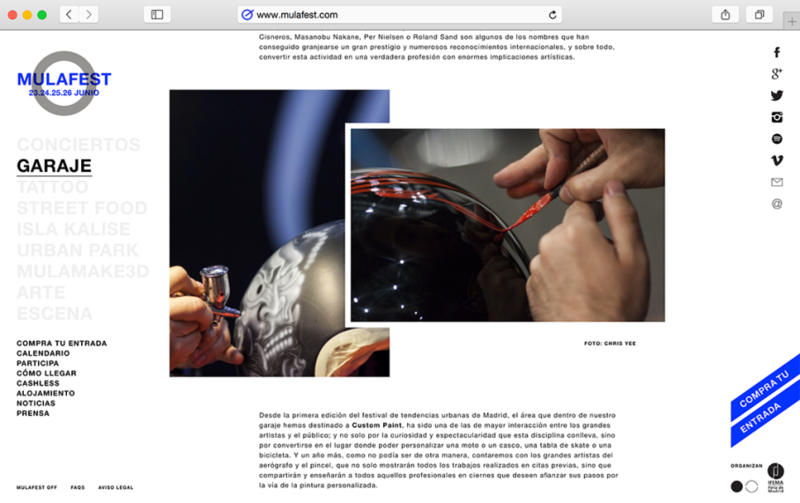 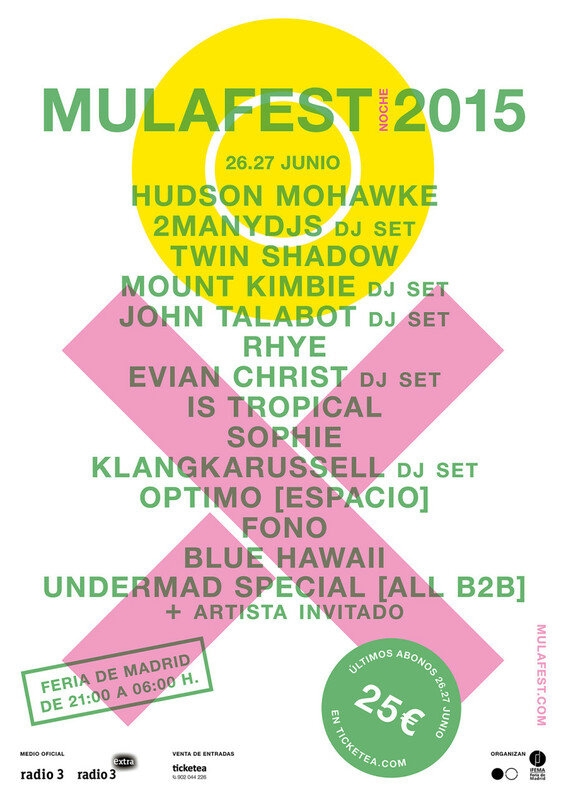 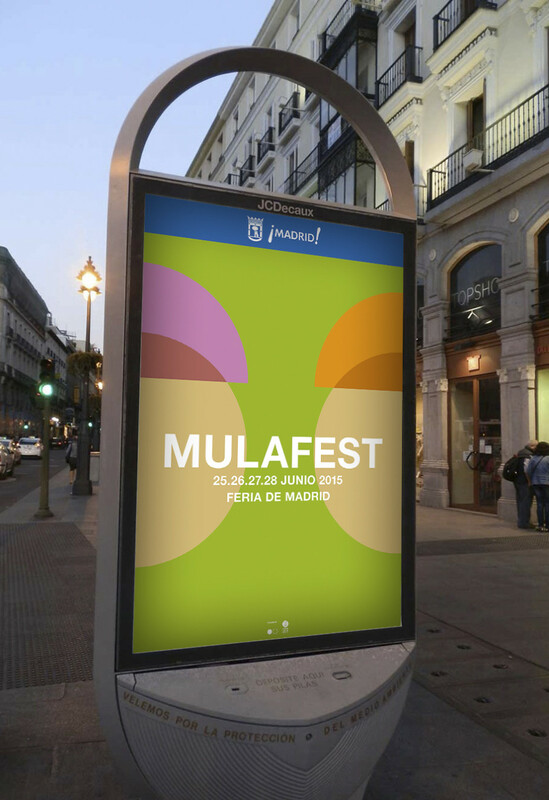 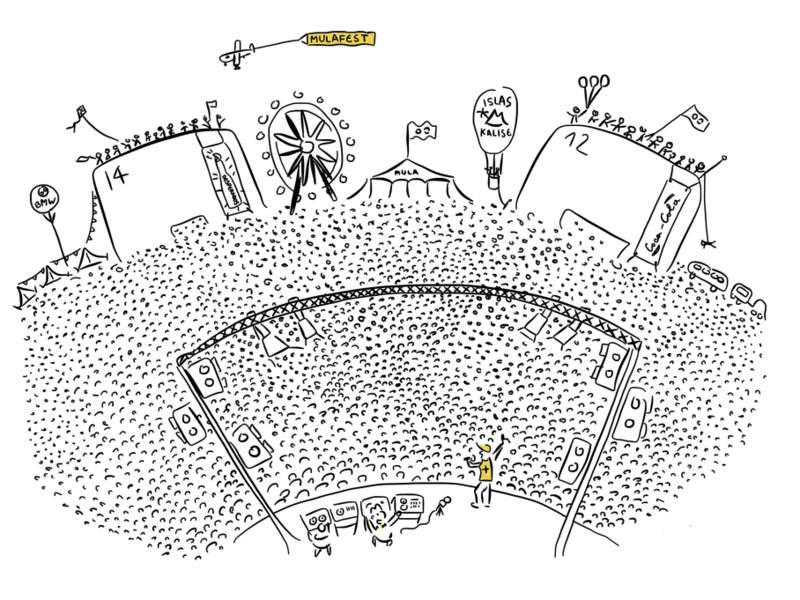 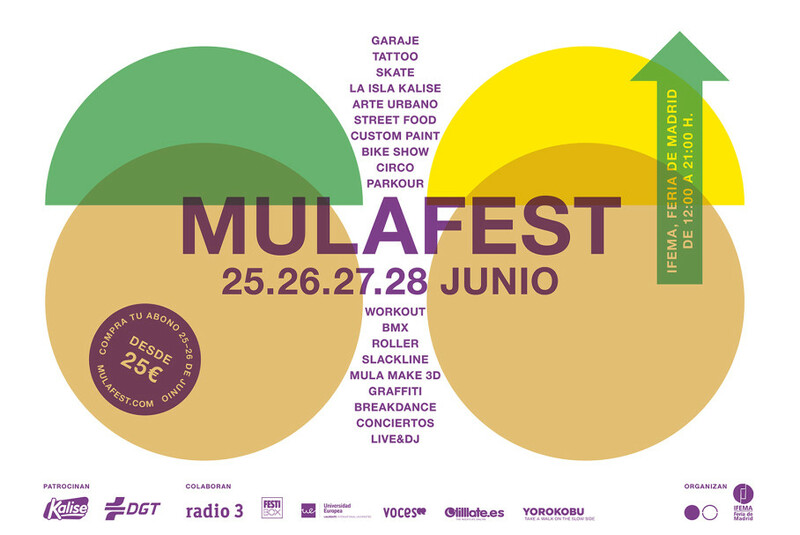 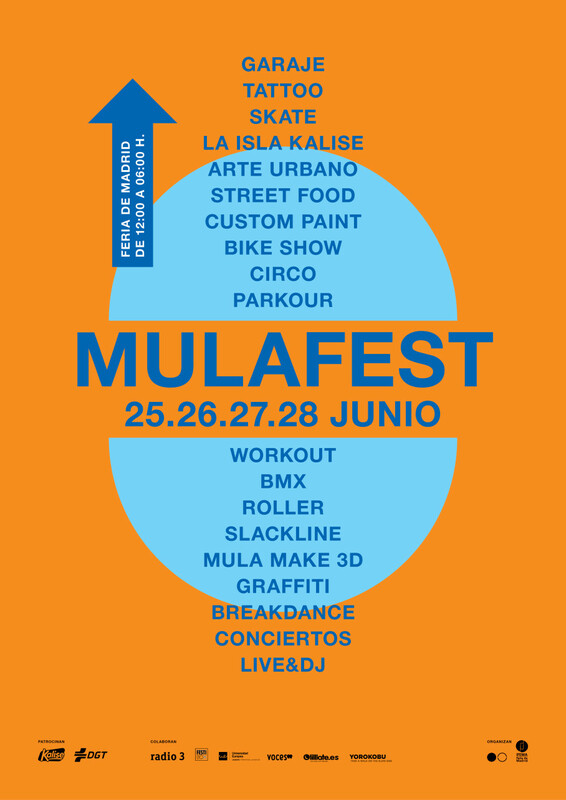 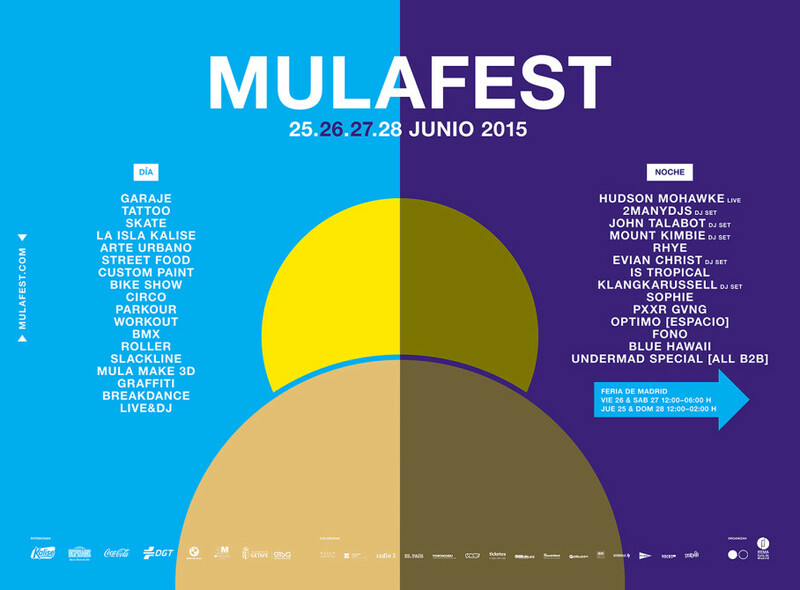 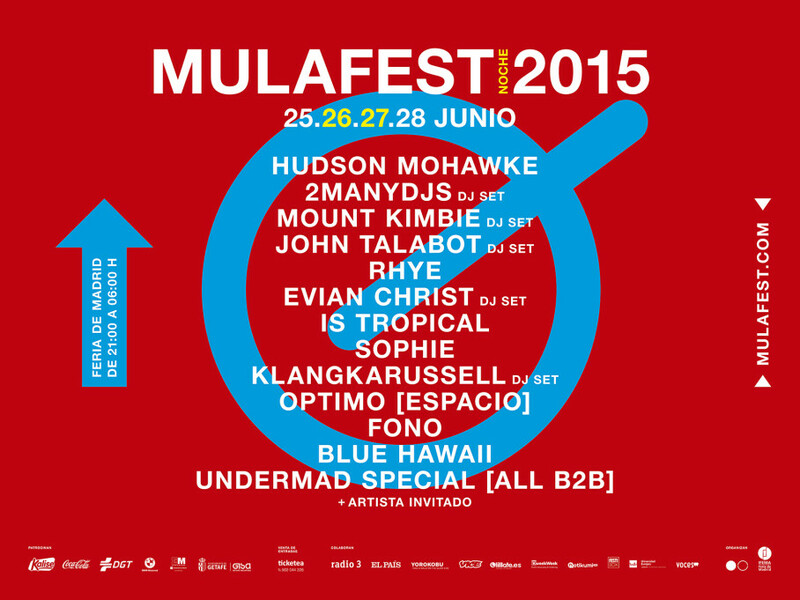 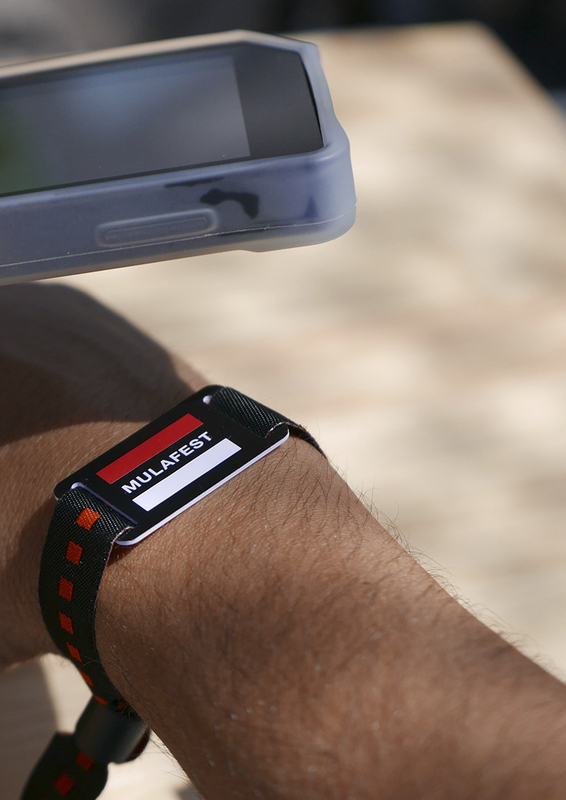 The organiser’s determination to make Mulafest one of the highlights of the Madrid summer also brought changes to the management, which of course had to be expressed by the reformulation of the brand name. 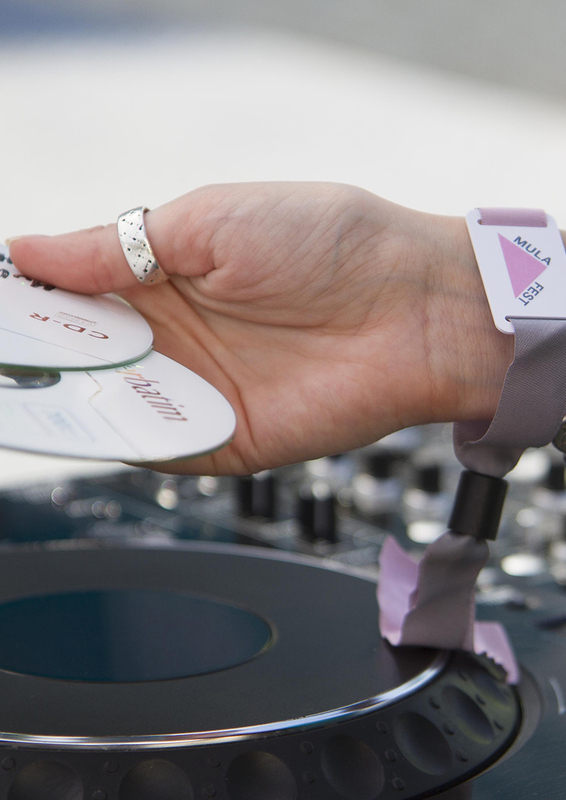 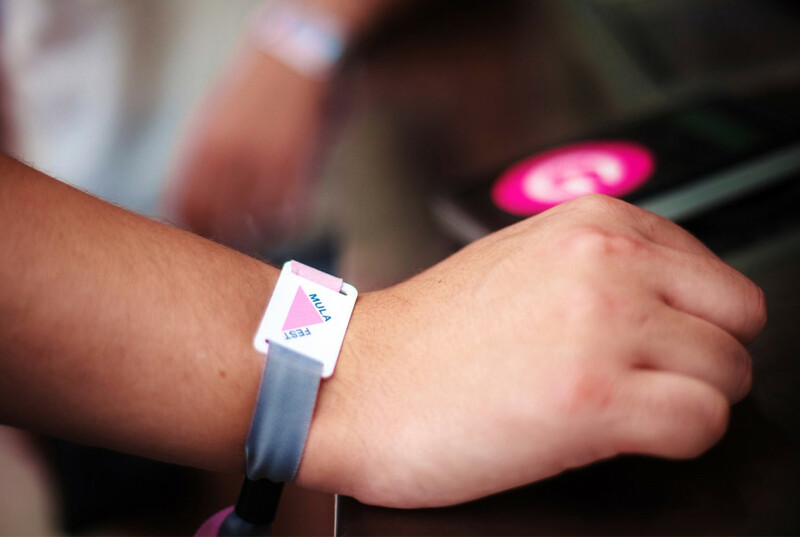 One of the most important changes was the acceptance of payment by electronic money thanks to the introduction of cashless bracelets that also gathered information concerning types of admission and accesses to the venue.